New generation of professional dynamic microphones for vocalists - engineered to last Combining Ludovic Lanen's mastery of soun..
Technical Specification Transducer Type Dynamic Polar Pattern Cardioid Frequency Response 40 Hz to 18KHz + 3db Output .. 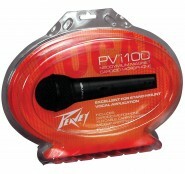 The PV® MSP1 is a complete microphone and accessory package designed for working musicians on the move. The package includes essen.. 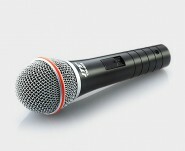 The JTS TM-929 dynamic vocal microphone offers great performance at an entry level price. Featuring a wide frequency res.. 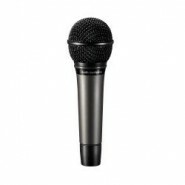 Dynamic cardioid microphone designed for speech and vocals. 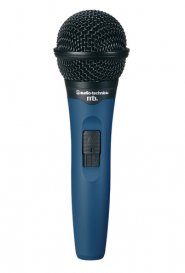 Produces a solid sound that projects well and cuts through high volume..
Handheld vocal microphone with precision-machined metal body and high quality dynamic capsule. 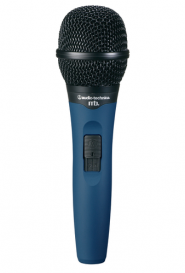 Features a built-in on/off switch, ..
A price/performance leader, the MB 4k cardioid condenser microphone is the Midnight Blues Series' introductory studi.. 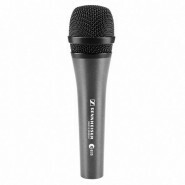 This cardioid dynamic workhorse is designed for smooth, natural vocal reproduction and low noise. 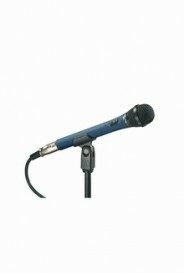 Equipped with a neodym..
Handheld vocal microphone with precision-machined metal body and resilient dynamic capsule. Features a built-in on/off s.. The Midnight Blues Series standout performance microphone, the MB 3k dynamic vocal microphone has an extended freque..
A perfect introductory performance mic, the high-output MB 1k is designed for use as a lead, backup, or choral vocal mic..
Peavey PVi 100 Microphone cardioid unidirectional polar pattern Specifications ca.. 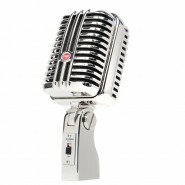 Specifications back-electret condenser microphone simulated electronic tube response cardioid ..